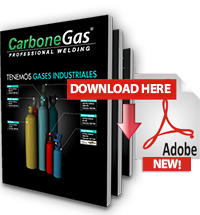 CarboneGas® Costa Rica has incorporated into its product range industrial gas that are usually used in metal welding processes, cutting materials and other applications. We offer the alternative to get gas when in Costa Rica. 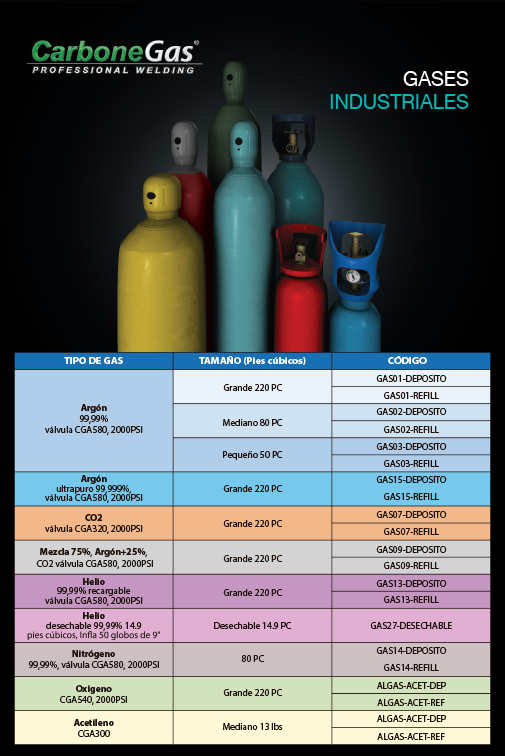 We offer a variety of gas and bottles sizes for stationary work in workshops with large tanks and field work that require portable cylinders. Argon: Inert gas used in nonferrous metal base (magnesium alloys, copper, nickel and aluminum) and reactive metals (zirconium and titanium). Argon gives a stable arc welding, penetration and excellent bead profile in these base metals. The low ionization potential of argon helps create an excellent current path. Oxygenate is an odorless, colorless and tasteless gas and fuel gas for gas welding. It is not a flammable gas, but initiates and maintains the combustion of combustible materials so you should not store near combustible gases. Acetylene: The consumable gas in gas welding. It is a colorless gas, lighter than air and highly flammable.